Proud to Be Family Owned and Operated. 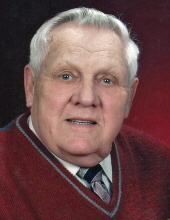 Trusting fully in the Lord until the day he was called home, David M. Bloch, 82, Coleman, died on Thursday, March 28, 2019. He was born November 9th, 1936 in Green Lake , WI to the late Gus and Eva Bloch. David married his high school sweetheart, Shirley Champine (Wausau) on August 16, 1958. He taught science and driver’s education at Coleman High School for 36 years, having many fine memories of his students. He also served his community for 27 years as trustee and later village president. He also was a volunteer firefighter. As an active member of St. John’s Lutheran Church in Grover, he served on various committees, Boards, and as a Sunday school and VBS teacher. He thoroughly enjoyed being outdoors and was both an avid hunter and fisherman, passing this passion on to his children and grandchildren. David is survived by his wife of 61 years, Shirley; two sons, Jeff Bloch of Sobieski and Scott Bloch of Pound and one daughter, Kelly (Aaron) Woller of Oconto. Holding a special place in his heart were all eight of his grandchildren: Jordan, Elijah, Jacob, Hannah, and Sarah Bloch; and AJ (Tayiah), Isaac, and Josh Woller. He also has one great grandson, Noah. He is further survived by his older sister, Patricia (Les) Polette of Sacramento, CA: brother-in -law, Ruffin Wilicowski of Marathon, WI; his close friend, Edward Mongin of Coleman, and many friends of hunting and fishing camp. He was preceded in death by his twin sister, Dorothy. The family will receive relatives and friends at St. John’s Church, Grover, from 4 to 8 PM Tuesday, April 2, 2019. Visitation will continue on Wednesday, April 3 from 10 to 11 AM. Funeral services will be conducted 11 AM Wednesday at the church with Rev. Daniel Sargent officiating. Online condolences may be expressed at www.gallagherfuneralhome.net. David’s family extends a special thank you to everyone who sent him cards, visited him, and prayed for him following the stroke. He talked many hours about good times shared, especially with the hunting a d fishing crew. You all held a special place in Boomer’s heart. To send flowers or a remembrance gift to the family of David M. Bloch, please visit our Tribute Store. Funeral service by Rev. Daniel Sargent. "Email Address" would like to share the life celebration of David M. Bloch. Click on the "link" to go to share a favorite memory or leave a condolence message for the family.